Council taxpayers are being promised "improved services" once they come under the management of a new authority in a few days' time. 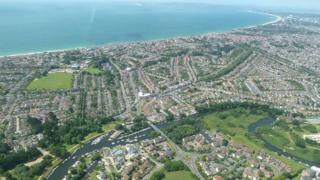 Bournemouth, Poole and Christchurch will merge into one council as part of plans to group Dorset's nine authorities into two. With staff and councillors due to reduce, it is hoped the change will save Dorset taxpayers £108m. The council will come into being on 1 April. The new council's chief executive said residents were to expect better services, the Local Democracy Reporting Service reports. Graham Farrant said the shake-up would change "how we work for the better".